The Czech humanitarian organisation People In Need (PIN) reported that three of its employees were killed in the city of Aleppo in northern Syria on 7 January. Hivos works with PIN within Alliance2015. In total, five PIN employees were hit by random mortar fired during the indiscriminate shelling of the southern parts of the city. Three people including the team leader died, while two others suffered minor injuries. All of them have been members of the team which has been distributing humanitarian aid to thousands of families for more than a year despite the growing difficulties. Hivos is deeply affected by these deaths. One of the victims is Mustapha Chasm, political leader in the Bustan al Qasr district in Aleppo, with whom Hivos just recently visited in Gaziantep, Turkey to discuss the situation in Syria. Chasm was a humble family man in his forties with an excellent reputation in his district. He was successful in reaching areas that were most deprived of assistance. Our condolences go out to the family and friends of the deceased and to those with whom they worked every day. 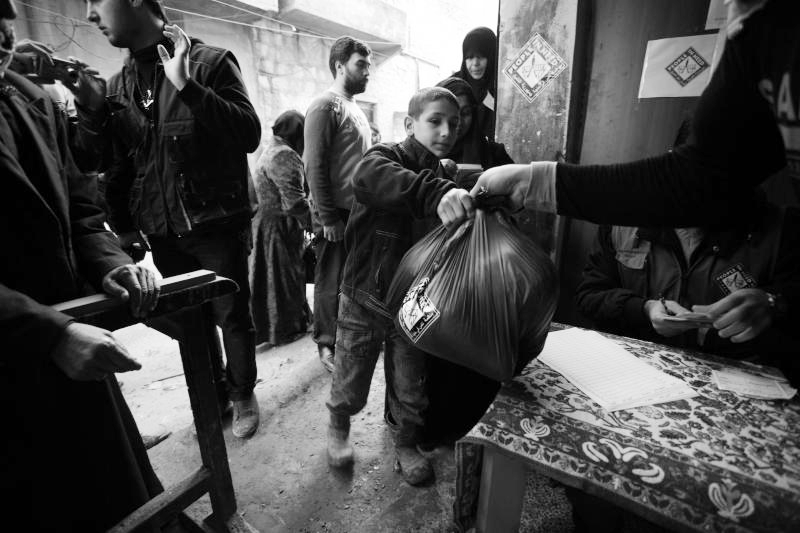 Despite the loss of its staff members, PIN remains active in Syria since the country is ever more in need of humanitarian assistance because of this hopeless war.